Guts Casino – Rainy Day Raffles! Play for big cash prize & guaranteed Free Spins! The last ten days of cash prizes and guaranteed Free Spins! A heavy thunderstorm is brewing just as I am typing this article, pretty well expected in my region as we endure the rainy season. And that is why the latest Guts campaign is the best remedy. Prize draws with big cash prizes of up to €4,500 and guaranteed Free Spins for only €100 in weekly wagering on any casino game. That will brighten up the grey day, even more than the heavy lightning. Please make sure though that your country of residence is on the eligible list. Exclusive for players from Austria, Finland, Germany, Gibraltar, Ireland, Malta, New Zealand, Norway, Sweden, Switzerland and the United Kingdom. We hope you enjoyed the first two weeks of this latest Guts campaign. There are now only 10 days left with two €10K weekly raffles, guaranteed Free Spins and a thrilling €10K wager race. Make sure play any slots throughout the next weeks to earn tickets to the prize draws and points towards the monthly leader board. Earn one ticket to the weekly prize draw for every €10 wagered on slots. Minimum 10 tickets required to qualify for the draw. Tickets per player are unlimited with the current amount displayed on the top of the gaming site. Live Casino Games and Classic slots have a lower contribution rate. 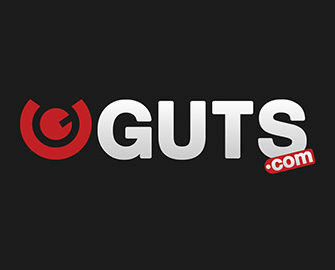 Every week, on Wednesday, Guts Casino will randomly draw 150 winning tickets from all eligible entries and allocate the prizes in the order they were drawn. All prizes will be credited on the same day in cash, no wagering requirements. A winners list will be displayed on the promotion page. All players, who collect minimum 10 tickets, equaling €100 in wagering, will receive 10 Free Spins on the Rainy Game of the Week – Mighty Arthur – if they do not win a prize in the weekly raffle. Winnings from the Free Spins are cash, no wagering requirement.